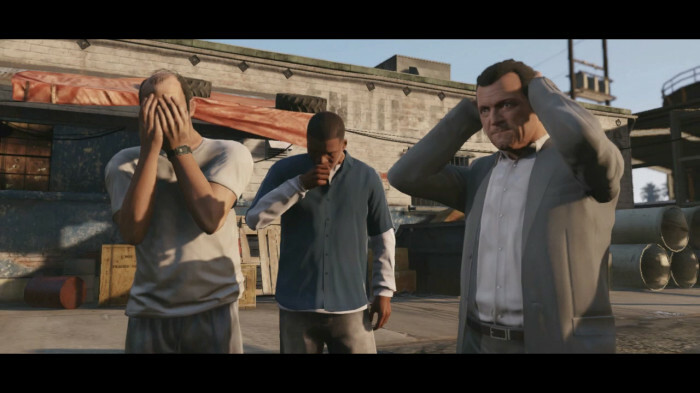 The second official trailer for Grand Theft Auto V is out now! Check it out! There will be buses driving the streets of Los Santos. The 18-wheelers will be pulling trailers on the highways. Trevor Phillips controls the guns and crank trade in Blaine County. Maybe it's just me but it sounds like Trevor might be voiced by Vincent D'Onofrio. Dune buggies will be in the game. Some property damage will be present, but will probably be mission specific. Franklin's car repossessing missions look like they'll be awesome. Also Franklin may have some problems with his old friends while he escapes the hood. Michael's son James will be involved in his dad's illegal work, but appears to be bad at it. 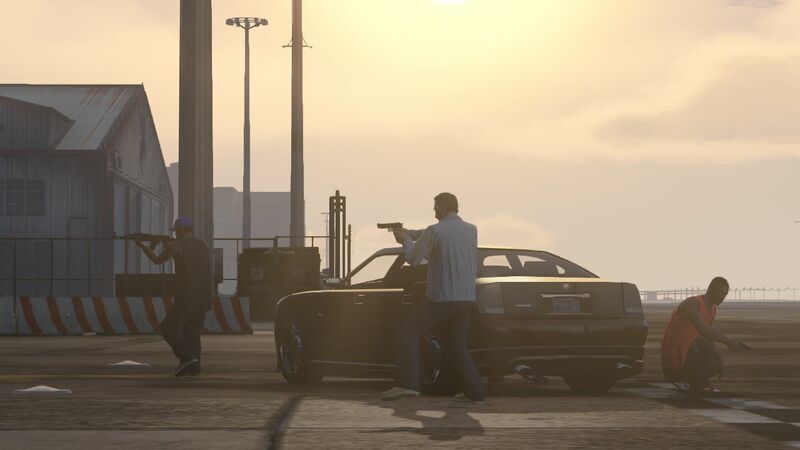 We see a glimpse of one of the new heist missions. Dogs are finally seen in action. Skydiving out of a SUV that's fallen out of the back of a plane looks awesome! The dirtbike races in the mountains look great. You can crash trains into each other! You can see the Hydra in action blowing a Police Maverick out of the sky. You can check out our Complete Trailer Breakdown and Analysis for even more information! Also check out our trailer screencaps! 71 awesome images to feast your eyes on! All I can say is a lot of other games coming out this year picked the wrong year to compete...GTA V has got GOTY for sure! I remember buying my ps3 system for the only reason of playing GTA 4, now GTA 5 coming? Even better! i think it will change all the videogame world.better than every game this is so amaizing.really. I know im not the only one who believes the dude between 1:17-18 is Dwayne Forbes from IV, looks exactly like him if you analyze carefully. Possible relative of Franklin or Lamar by my guess. Second Trailer Out Now - The second official trailer for GTA V is out now!